Transforms a regular bottle opening into smaller diameter hole. This reducer fits containers requiring a 20/410 top. Transforms a regular bottle opening into smaller diameter hole. This reducer fits containers requiring a 24/410 top. Helps prevent fluids from leaking. Allows you to accept returns while clearly seeing if the container has been opened. Test liner for product compatibility. Some bases may cause liner to degrade. Fits containers using a 24 mm top. Helps prevent fluids from leaking. Allows you to accept returns while clearly seeing if the container has been opened. Test liner for product compatibility. Some bases may cause liner to degrade. Fits containers using a 20 mm top. Helps prevent fluids from leaking. Allows you to accept returns while clearly seeing if the container has been opened. Test liner for product compatibility. Some bases may cause liner to degrade. Fits containers using a 22 mm top. Helps prevent fluids from leaking. Allows you to accept returns while clearly seeing if the container has been opened. Test liner for product compatibility. Some bases may cause liner to degrade. Fits containers using a 33 mm top. Helps prevent fluids from leaking. Allows you to accept returns while clearly seeing if the container has been opened. Test liner for product compatibility. Some bases may cause liner to degrade. Fits containers using a 38 mm top. Helps prevent fluids from leaking. Allows you to accept returns while clearly seeing if the container has been opened. Test liner for product compatibility. Some bases may cause liner to degrade. Fits containers using a 48 mm top. Helps prevent fluids from leaking. Allows you to accept returns while clearly seeing if the container has been opened. Test liner for product compatibility. Some bases may cause liner to degrade. Fits containers using a 58 mm top. Helps prevent fluids from leaking. Allows you to accept returns while clearly seeing if the container has been opened. Test liner for product compatibility. Some bases may cause liner to degrade. Fits containers using a 70 mm top. Helps prevent fluids from leaking. 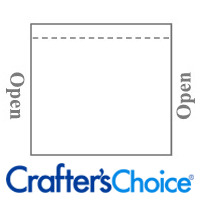 Allows you to accept returns while clearly seeing if the container has been opened. Test liner for product compatibility. Some bases may cause liner to degrade. Fits containers using a 89 mm top. 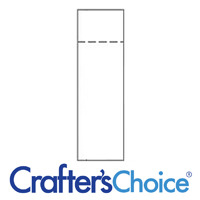 This shrink wrap band fits the Slim Round Lip Tubes and includes a perforation for easy removal. Use this shrink wrap band on the standard Round Lip Tubes. The band includes a perforation for easy removal. 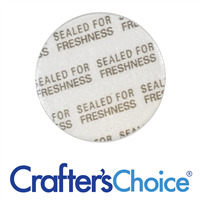 This shrink wrap band fits the Glass Roll on Bottles and includes a perforation for easy removal. Use this shrink wrap band for the Lip Slide Tins. The band includes a perforation for easy removal. 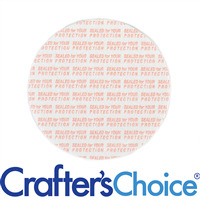 This shrink wrap band is perforated for easy removal and fits great on jars with 0.75 to 1 inch diameters and some 1 oz. bottles. 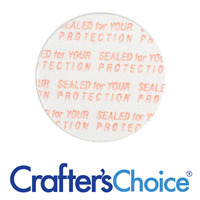 Perforated for easy removal this shrink wrap band fits jars with 1.20 to 1.50 inch diameters and select 2 oz. - 4 oz. bottles. 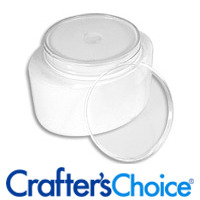 Shrink wrap band fits jars with a 1.50 to 2.25 inch diameter and select 8 oz bullets. Perforated for easy removal. This shrink wrap band is recommended for bars of soap with an 8" circumference. Most common use is to provide a protective label cover to bars of soap. Perforated for easy removal. 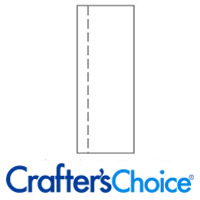 Use this shrink band on jars with a 1.95 to 2.88 inch diameter. Band includes perforation for easy removal. 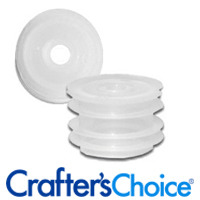 Use this shrink wrap band for jars with a 2.5 to 3.25 inch diameters. Band includes a perforation for easy removal. 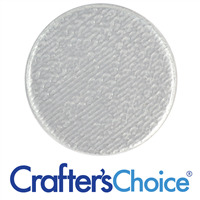 Perforated for easy removal, this shrink band fits jars with a 3.25 to 4.25 inch diameter.